This is not just a hostel or simply a business, we are talking about my dream. Traveling is not just a passion to me, it forms an extremely important part of my life.I need to travel to feel amazed, to keep the new sensations flowing. With my backpack and my sneakers I traveled to many places, tasted different and unknown flavors, smelt the intense perfumes of different cultures. Sometimes I felt more at home in another country other than in my own. 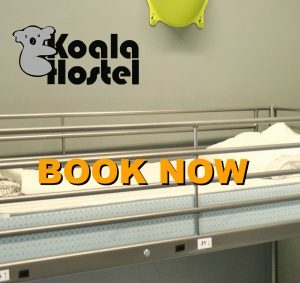 After traveling and Gaining so many new friends, I Decided to put a part of me into creating a hostel, a hostel named, themed and decorated after my love of Koala's. I tried to collect all of my experiences, each and every memory perception within my hostel, a hostel built with my own passion. The intention was to create in the hostel meets the real needs of a traveler. I try to offer everything I Desired whilst I traveled. If the walls of my hostel could talk they would welcome you in every language of the world. -Claudio. The Place You Should Be.